reviled in the west & revered in the east alligators & crocodiles historically evoke diametrically opposing reactions.­they are the physical embodiment of yin & yang & have effortlessly morphed into dragons. having much in common with birds alligators & crocodiles live the tao. this book explains all. After being treated by surgeons the Centurion recuperates at Caesar's country villa.­Caesar is told that mysterous footprints have been seen in the garden. Speculatores? Perhaps but why? The surgeons insist the Centurion will make a full recovery. Quintus is dismayed. Half of the Centurion's right hand little finger has been amputated. Quintus reveals the cause of his animosity toward the Centurion to Caesar who defends him & his decision to let him recuperate at his villa. Caesar tasks the Centurion with seeing if the Summus Poeninus, the pass that conncts Cisalpine Gaul with Transalpine Gaul can be negotiated by an army. Servius Galba is already in Gaul with the 12th Legion to ensure supply routes are kept open. The Centurion & his century are to rejoin the 10th Legion & report to Tribune Gaius Volusenus who in turn will report to Caesar on Galba's leadership abilities. His recuperation complete, Caesar presents the Centurion with a special, copper-­backed shield, Caesar's . . . 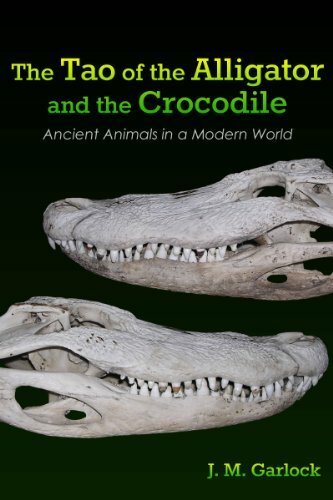 This book explains how alligators & crocodiles are living dragons, how they have morphed into dragons & how & why they are hiding in plain sight. Upon being notified of an impending invasion Centurion Sextius Baculus and his orderly Marcus race north from Rome to join the 10th Legion. Julius Caesar and his aide-­de-­camp Quintus also ride north and are attacked at a changing station. The Centurion arrived and saves their lives. The Gallic advance is halted after a fierce battle at Geneva. In June, 58BC Gallic warriors led by Dumnorix and Casticus are defeated at the River Saone. The Centurion fights to keep himself and his orderly alive while Caesar plans strategy. A deciding battle is fought at Bibracte in July. Drunk, the Centurion blurts out that he knows Caesar is making war to strengthen his position against other members of the triumvirate in Rome. Caesar uses the Centurion as bait in the final battle at the Rhine River and saves the Centurion's life, repaying his debt. 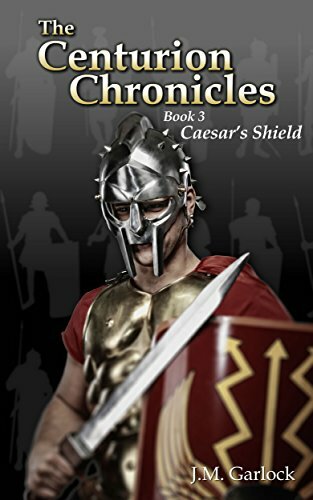 Panoramic, savage battles and individual feats of heroism are commonplace as Centurion Sextius Baculus recalls his experiences serving in Julius Caesar's Legions when the tactically superior but outnumbered Roman army invades and conquers the vast expanses of ancient, tribe-­ruled France.